Are you a creative superhero or a mobile development ninja? We bet you’re both! And we have just the right opportunity for you to show the world your superpowers! It is called mYouth, and we’re pretty sure you’ll like it so keep on reading! aimed towards young people and it aims to promote the concepts of building digital skills. Through mYouth, you will gain high skills for the development of mobile applications. 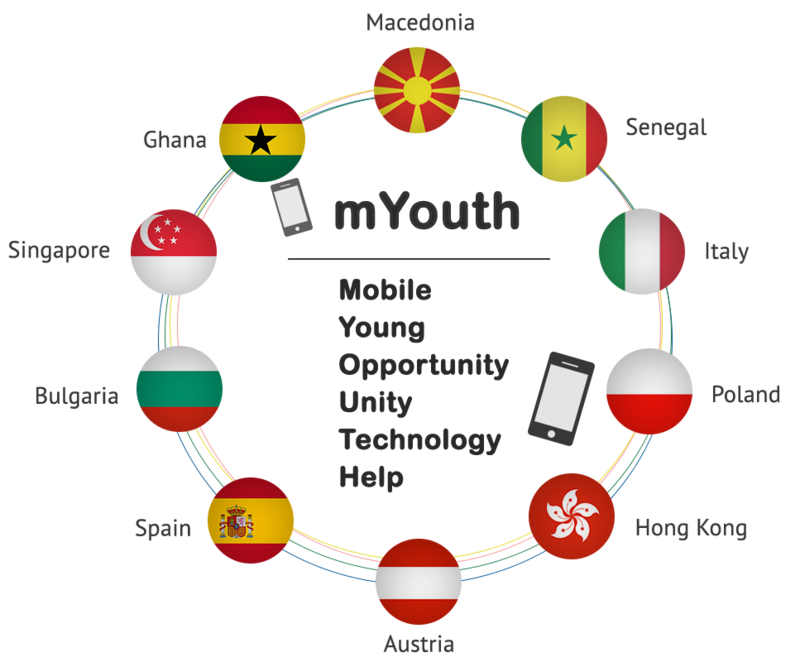 Sure, there are many such projects nowadays, but what makes mYouth different? The chance for global mobile learning! We would like you to meet about 25 mYouth participants from ten different countries and learn together with them all you need to develop and kick-start your awesome mobile app project while having a great time. And everything is free of charge – the only thing you have to do is learn and develop. Interested? Еach of the partner countries will host a national mobile camp. In Bulgaria, this camp will be in Sofia on the 14th and 15th of May. Those who attend the local camps have the chance to win an absolutely free of charge three-week training with the best from the best in Macedonia. Macedonia Android development mobile camp -from June 20 to July 14, 2016, in Skopje, Macedonia. Android classes for advanced app development will be provided by the international software development and consulting company Seavus. The 25 participants who will come from Senegal, Italy, Poland, Hong Kong, Austria, Spain, Bulgaria, Macedonia, and Ghana will learn computer programming (learning-to-code) and problem-solving (coding-to-learn). Aside, the participants will receive a training on business modelling and marketing for their mobile apps. All apps which will be developed during the mYouth Training in Macedonia will be submitted to the European Youth Award and have the chance to be #EYA16 Winner! Are you excited? Register for the local mobile camp in Sofia, Bulgaria! This project is funded by the Erasmus+ program! Click here for more information about the Erasmus+ programme!